More Peanuts Fun! - Snoopy And The Gang! Peanuts.com The official site for all things Peanuts! Snoopy's Facebook Page Like Snoopy on Facebook! Cafepress.com: They have a Peanuts merchandise store here! The Peanuts Gallery An interesting collection of Peanuts comic book covers. Cartoon Brew Some rare Peanuts clips! A Charlie Brown Christmas The classic album on Last.fm, an always updated music and video site! Snoopy's Home Places to visit in Santa Rosa, California! Snoopy Gift Find excellent Peanuts items for sale here! Joe Collector.Com A cool place to shop for Snoopy/Peanuts merchandise! 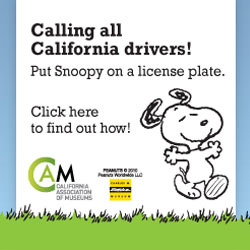 FiveCentsPlease.org A great Peanuts informational site! Snoop2Nuts An awesome place to check out rare and unique Peanuts merchandise! The Aaugh Blog The place to get your(almost)daily Peanuts news! Peanuts DVD Warner Bros' official site for new Peanuts DVD releases! Babelfish For translation of the above Snoopy site. Betty's Attic They have Peanuts merchandise here, and other pop culture items. PeanutsOnline A YouTube channel with lots of short Peanuts clips from the motion comics & specials! Snoopn4pnuts.com An extensive Peanuts merchandise website. Collect Peanuts.com A Peanuts Collectibles website.